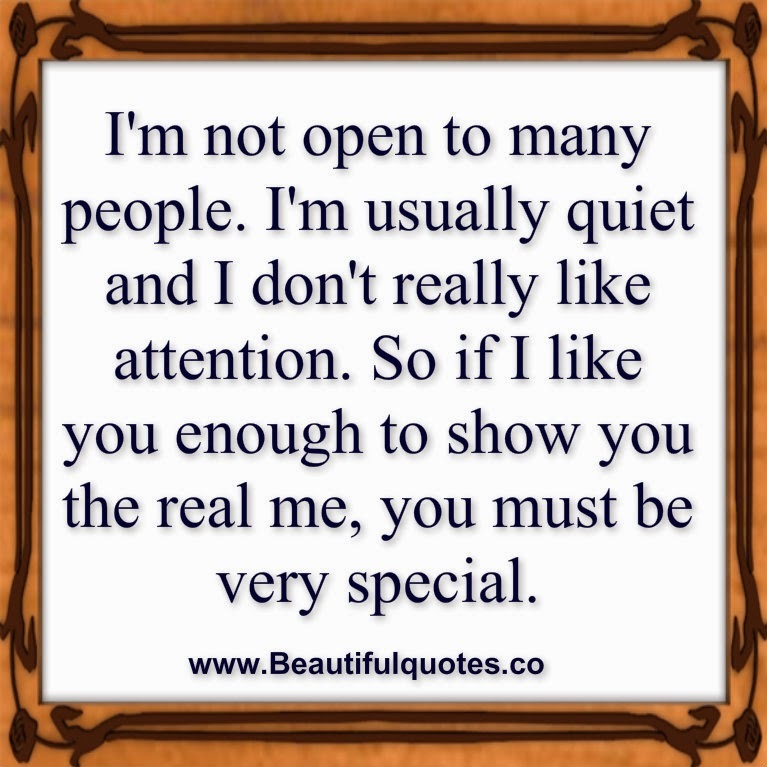 google-site-verification: google8d8438b214143f71.html Beautiful Quotes: Why some people are not open to everyone? Why some people are not open to everyone? I'm not open to many people. I'm usually quiet and I don't really like attention. So if I like you enough to show you the real me, you must be very special.